Many apps on your Android phone can play audio simultaneously. 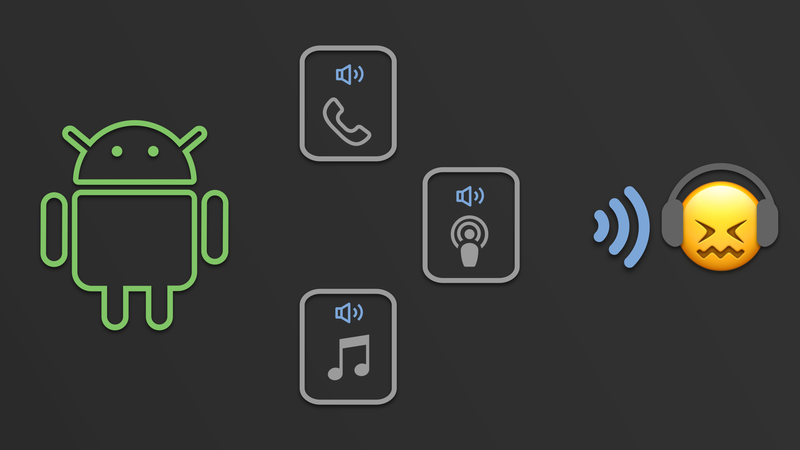 While the Android operating system mixes all audio streams together, it can be very disruptive to a user when multiple apps are playing audio at the same time. This results in the user having a poor experience on their phone. To deliver a good UX, Android provides an API that lets apps share audio focus, where only one app can hold audio focus at a time. Audio focus is cooperative and relies on apps to comply with the audio focus guidelines. The system does not enforce the rules. If an app wants to continue to play loudly even after losing audio focus, nothing can prevent that. This however results in a bad user experience for the user on the phone and there’s a good chance they will uninstall an app that misbehaves in this way. Here are some scenarios where audio focus comes into play. Assume that the user has launched your app and it’s playing audio. When your app needs to output audio, it should request audio focus. Only after it has been granted focus, it should play sound. When the other media app starts playing audio, it overlaps with your app playing audio as well. This results in a bad UX since the user won’t be able to hear audio from either app properly. When the other media app starts playback, it requests permanent audio focus. Once granted by the system, it will begin playback. Your app needs to respond to a permanent loss of audio focus by stopping playback so the user will only hear audio the other media app. Now, if the user then tries to start playback in your app, then your app will once again request permanent audio focus. And only once this focus is granted should your app start playback of audio. The other app will have to respond to the permanent loss of audio focus by stopping its playback. When the phone starts to ring, the user will hear audio from your app in addition to the ringer, which is not a good UX. If they choose to decline the call, then your audio will continue to play. If they choose to accept the call, then the audio will play along with the phone audio. When they are done with the call, then your app will not automatically resume playback, which is also not a good UX. When the phone rings (and the user hasn’t answered yet), your app should respond to a transient loss of audio focus with the option to duck (as this is being requested by the phone app). It should respond by either reducing the volume to about 20% (called ducking), or pause playback all together (if it’s a podcast or other spoken word type of app). If the user declines the call, then your app should react to the gain of audio focus by restoring the volume, or resuming playback. If the user accepts the call, the system will send you a loss of audio focus (without the option to duck). Your app should pause playback in response. When they’re finished with the call, your app should react to the gain of audio focus by resuming playback of audio at full volume. When your app needs to output audio, it should request audio focus. Only after it has been granted focus, it should play sound. However, after you acquire audio focus you may not be able to keep it until your app has completed playing audio. Another app can request focus, which preempts your hold on audio focus. In this case your app should either pause playing or lower its volume to let users hear the new audio source more easily. 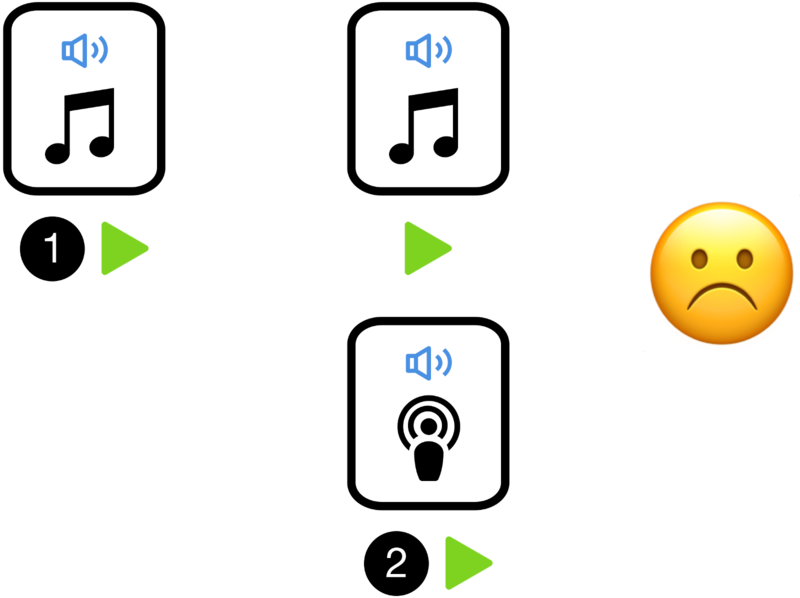 To learn more about the other use cases where audio focus comes into play in your app, read the second article in this series. 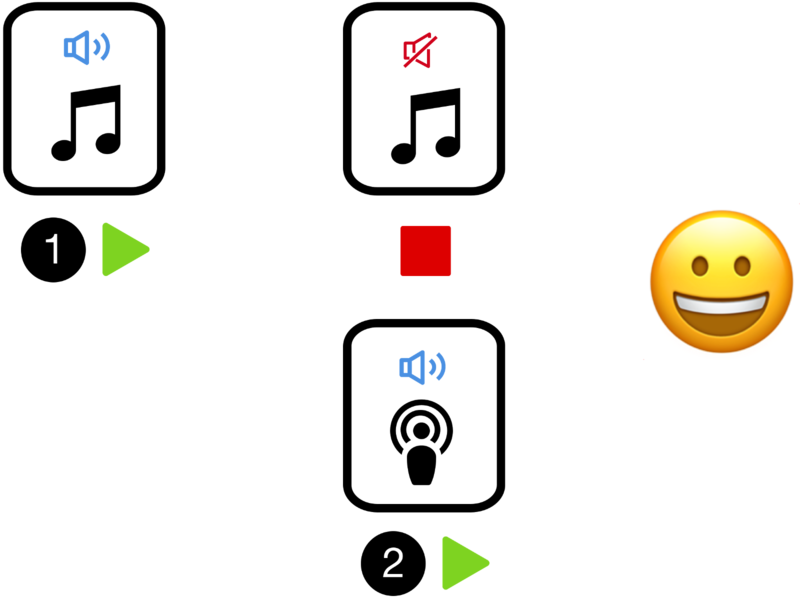 To learn more about how to implement audio focus in your app read the final article in this series.